Cleveland, Ohio is located on the north coast of the USA on the south shore of Lake Erie. The city continues to grow and redevelop with billions invested in new projects, the region is receiving a major capital investment of $12 billion and currently has a $170-billion economy. Cleveland has the fastest growing health care economy in the USA and is home to the world-renowned Cleveland Clinic. The Cleveland Clinic is the city’s largest private employer with a workforce exceeding 37,000. The Cleveland real estate market is still recovering from the financial crisis of 2008, providing the opportunity to purchase great investment properties in well-established neighbourhoods that are a short drive to a thriving downtown. Coldwell Banker Listing Report – “You could buy 30 family-size homes in Cleveland, America’s cheapest market, for the price of a single comparably sized home in Silicon Valley’s Los Altos, California, the most expensive market. Cleveland News 19 recently ran an article – WARREN BUFFETT WANTS TO INVEST IN CLEVELAND The 2nd richest man in America has been focusing on the rejuvenation of this region and looking at investing in the Goldman Sachs 10,000 Small Businesses program. Detroit billionaire Dan Gilbert who poured nearly $2 billion of his own money into revitalisation of Detroit is the owner of the National Basketball Association’s Cleveland Cavaliers, Gilbert has invested close to $1 billion in and around downtown Cleveland. If you walk around Cleveland today you will see various sites and buildings under construction or planned for near-term development, most notably the redesign of Public Square. Cleveland like Detroit is changing and is becoming bigger and better. There is a 95% housing occupancy rate in downtown Cleveland and it is now among the top 10 job markets for new college graduates. 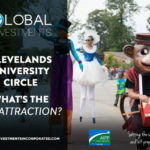 According to World Property Journal the average gross yield, which demonstrates income return from an investment prior to operating, Cleveland was in top five performers with yields of over 15.3%. 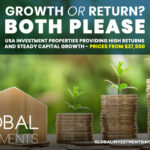 A strengthening economy with below average inventory and home buying challenges, such as home buyers struggling to obtain mortgages is creating the perfect environment for rental investors. Cleveland is located in Northeast Ohio Cleveland and has a population of over 400,000 people, the greater Cleveland area has a population of over 1.5 million and is ranked as one of the fifty largest cities in the United States. Cleveland ranks among top 10 U.S. cities for population growth of college-educated millennial residents.Beyond this so-called ‘brain gain,’ the statistics show a higher concentration of millennial residents overall, regardless of education. The Cleveland metro area’s economy continues to improve: the unemployment rate is lower than it has been in a decade, GDP per capita and income per capita continue to outpace the nation, and credit card delinquencies remain low. In Cleveland we work with one, reliable and consistent partner who is local to the area and has been a hands-on expert in the local market for over 10 years. Our partner is one of the leading Cleveland management companies who will collect and deposit your rent, maintain and repair the property, assess and interview tenants and keep you updated on a regular basis.